On most *nix systems, the file `/usr/share/dict/words` contains a bunch of words. On my machine, it contains `r sum(hist_df$Freq)` words. I computed the length of each word, i.e. the number of characters, and tabulated how many words consist of 1 character, 2 characters, etc. The most frequent word length is `r with(hist_df, Length[which.max(Freq)])`. Here is a histogram of word lengths. 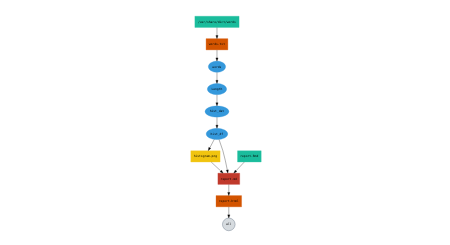 Yiou can get a handy diagram with remake::diagram(); that might be the most useful thing for teaching.